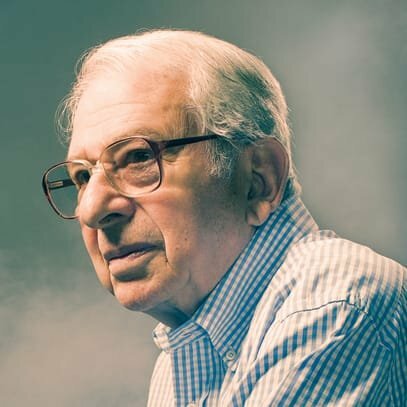 Dr. Lester Grinspoon, Emeritus Professor of Psychiatry Harvard Medical School, urges an investigation of medical cannabis for players in the NFL. I am among the millions of people who enjoy football as a spectator sport. However, I am becoming increasingly uncomfortable with the growing specter that many of these athletes will pay the price of developing Chronic Traumatic Encephalopathy (CTE) to a greater or lesser extent as they grow older. I believe that any change in the rules of the game which would accommodate these concerns would also diminish its popularity. I also believe that attempts to improve protective equipment can only go so far without seriously diminishing the skills and capacities of the player. Football is a violent game and every one involved in it knows that there will certainly be injuries. However, most injuries manifest themselves immediately, are orthopedic, not life-threatening, and with the help of nature and orthopedic medicine, will sooner or later heal. Injury to the brain is another matter. The skull is nature’s way of protecting this most important organ, the brain. However, strong as this container is, it cannot protect the contents from concussion. And most assuredly it offers no protection against the consequences of repeated concussions which can lead to the development of CTE. And unlike orthopedic injuries, the effects of this syndrome only manifest themselves over the course of years and they are always irreversible and often devastating. The piece of equipment meant to protect the head is the helmet, which is excellent at protecting the container but not the contents. Furthermore, given the limitations imposed by physics, anatomy and neurophysiology, I question whether there is any helmet design which can do much more to limit the frequency or severity of concussions. It is for this reason that I believe it is important to look for internal protection against this kind of devastation. Over the last two decades interest, knowledge and use of marijuana as a medicine has grown exponentially. People who are knowledgeable about cannabinopathic medicine believe that marijuana is neuroprotective. This understanding has grown from both clinical experience and animal research. It is also well known that it is remarkably free of toxicity. Furthermore, it is been learned relatively recently that one of the constituents of marijuana is a cannabinoid known as cannabidiol (CBD), which has no psychoactive properties; in other words, no amount of it would lead to a “high.” Increasingly, it is being sought as a medicine because it is both an anti-inflammatory and an antioxidant and it is free of psychoactivity. It is a very promising development, but the kind of research that will be necessary to establish this as a general medicine useful preventively in patients who are more likely to develop strokes because they suffer from heart arrhythmias or with patients who are subjected to other kinds of brain trauma will have to await the funding of this research. Funding for this kind of research is usually provided by a pharmaceutical company which wants to develop a new medicine for the market and, in order to do so, has to provide the Food and Drug Administration (FDA) with the research data which establishes both efficacy and safety. It is highly unlikely that a pharmaceutical company will get involved in this expensive research in this instance because a high ratio CBD/THC is now available in those states which have legalized the medicinal use of cannabis. The only other source of funding would be the US government which is not likely to provide it. I would propose two actions for the NFL which have a good chance of decreasing the devastation of CTE. The NFL pockets are deep enough to support a crash research program to determine that this combination of cannabinoids is effective in preventing the consequences of concussion so that we will know for sure whether or not it will protect against this threat to the players. Secondly, I would also urge the NFL to drop its urine testing marijuana program so that players who believe that a high ratio CBD/THC substance may be useful to them in this regard will be free to use it without objection by the NFL.